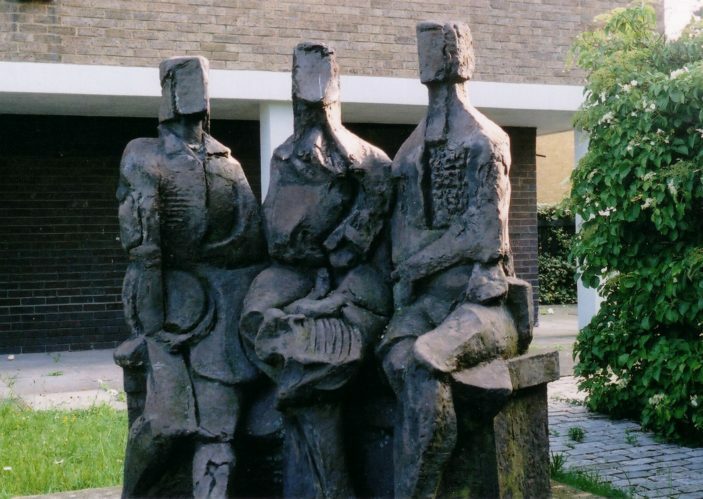 David Noble, of Digswell Arts Trust, sculpted these figures in reinforced concrete in 1963. He also sculpted “Three Geese” in Bronte Paths. This page was added on 14/01/2011.